We have previously reported data from the 2-year follow-up of the patients participating in the PCM301 trial of vascular targeted phototherapy (VTP) — a form of prostate hemiablation — compared to active surveillance in the treatment of low-risk, localized prostate cancer. New data at 4 years of follow-up have now been published in the Journal of Urology. There are very real questions about the appropriate timing of any form of treatment as opposed to management on active surveillance for men with low-risk prostate cancer, and we need to be clear up front that this study and this paper do not address or answer those questions. The question that this study addresses is the simpler one of what happens if you take a group of 413 patients who are candidates for active surveillance and randomize them to either active surveillance (n = 206) or immediate focal treatment with VTP (n = 207). All patients randomized to this trial were required to have prostate biopsies at both 12 months and 24 months after randomization. After that 2-year period, patients were simply monitored over time, with periodic biopsies performed according to standards-of-care in each participating institution. The continued efficacy of cancer ablation was assessed by biopsy results overall and “in-field” (treated lobe, or lobe with index cancer). Further radical therapy was implemented based on relevant biopsy and clinical data taking account of physician and patient opinions. 24 percent of the men in the VTP cohort underwent radical therapy within 4 years after VTP, implying an overall progression-free survival rate for VTP of only 76 percent at 4 years. 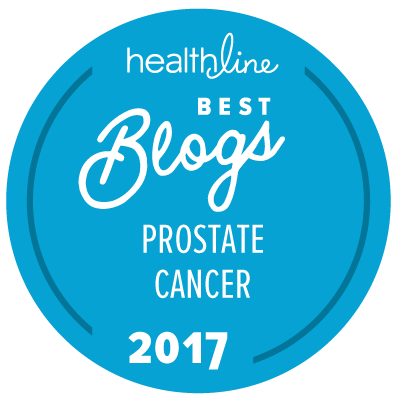 10 percent of the men in the VTP cohort definitively had progressive prostate cancer within the treated lobe of the prostate within 4 years. The statement that “Triggers for radical therapy were similar in the two arms” of this trial seems very strange to your sitemaster, because we know that anxiety is a major driver of men coming off anxiety within the first 2 to 3 years on active surveillance, but that shouldn’t have been an issue of the same level of significance for the men who had received treatment with VTP. It should be no surprise that as many as 41 percent of men in the AS cohort went on to have Gleason score of 7 or higher within 4 years on AS, but how many of those men still had only favorable, intermediate-risk disease with a small amount of Gleason 3 + 4 = 7? What would have happened if patients had been randomized to immediate VTP hemiablation of the prostate in Arm A, with repeat VTP hemiablation if it was possible and necessary at any time within the next 4 years, or to active surveillance in Arm B, with VTP hemiablation as “salvage therapy” if it was possible and necessary at any time within the next 4 years, and the patients were then followed for a total of 8 years or more? In other words, was there really any advantage to early VTP as opposed to delayed VTP in this cohort of patients? We already know that that does not appear to have been the case in patients who were randomized to surgery or radiation therapy or observation in the ProspecT trial — and those patients were less than ideal patients for active surveillance! There are certainly patients who are unable to adapt themselves to the idea of active surveillance. VTP may be one of several possible treatments that is appropriate for such men. However, at least as far as your sitemaster is concerned, these data don’t seem to justify the idea that immediate VTP is “better” that active surveillance because we have no idea whether the patients who responded well to VTP might not have responded equally well if VTP had been used as first-line treatment at some time after initial signs of need for treatment after a period of up to 4 years on active surveillance. If 41% of the control arm threw G7s over 4 years, starting from a low-risk point, I would be very interested how exhaustive (so, implicitly, accurate) the original assessments were. That’s an issue we raised in some detail in our earlier commentary — and to which we still have no good answer. Tangential relevance; I apologise. But this is therefore another illustration that deferring treatment (or pro-active surveillance or what you will) of 3 + 4 is not actually as lonely a road as it seems. With the noise that appears to surround the signal of this study, what it is really examining is whether placebo is an effective (albeit, admittedly, risky) counter to some elements of over-treatment.